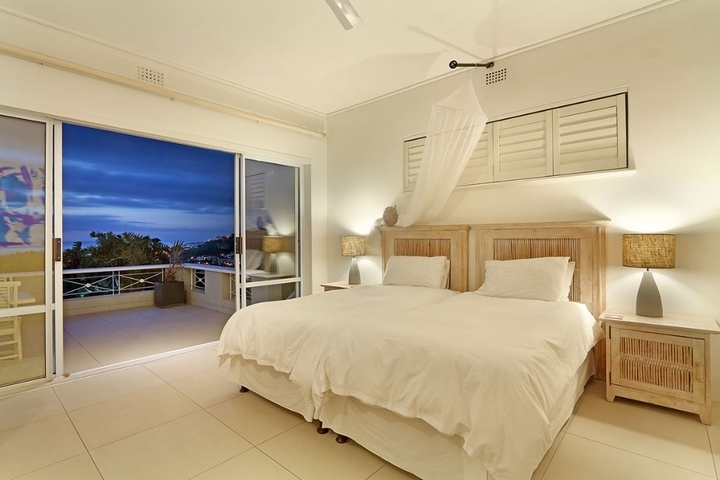 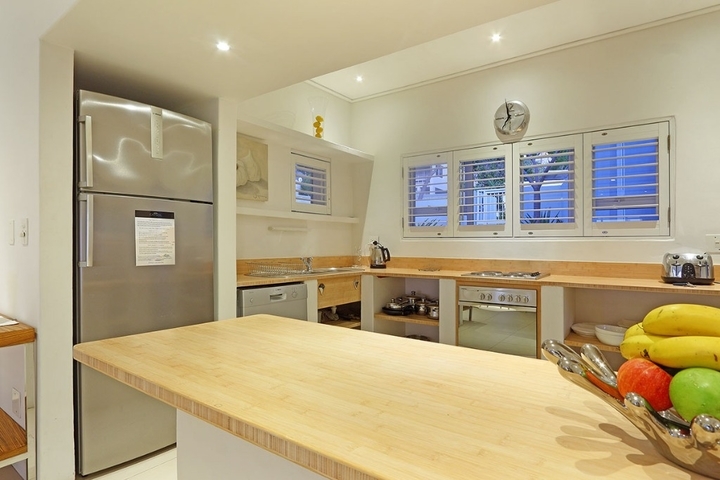 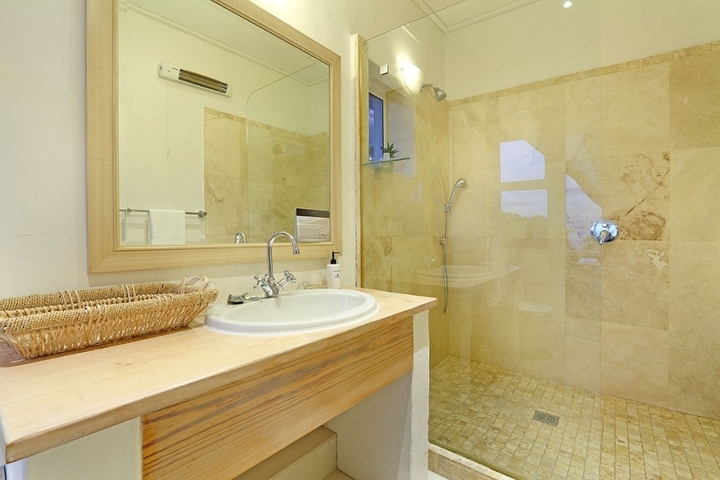 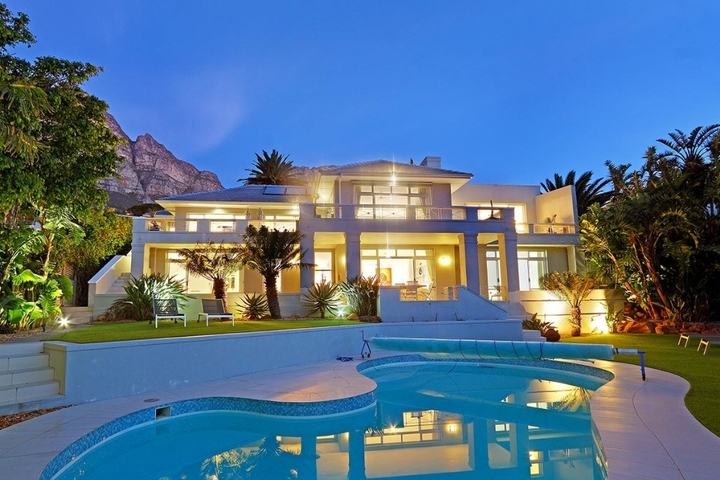 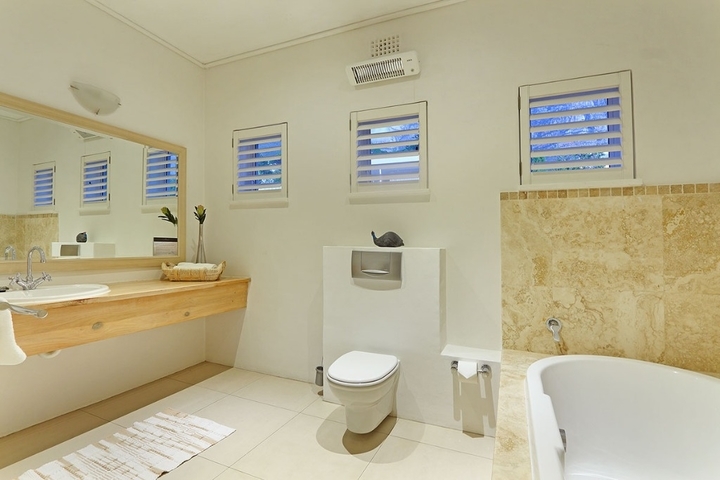 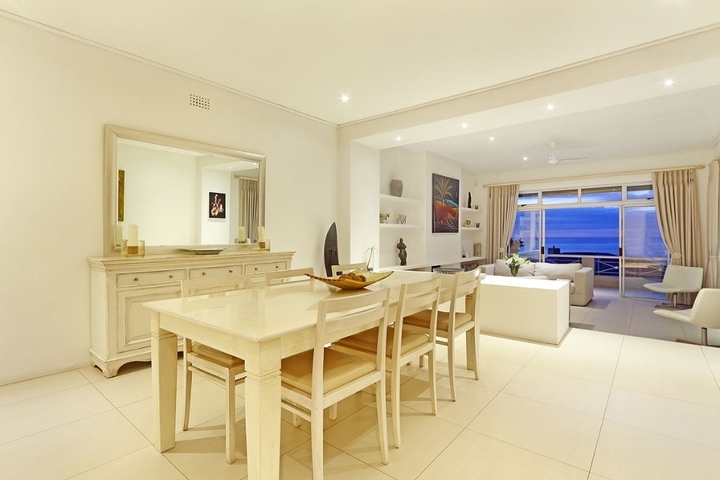 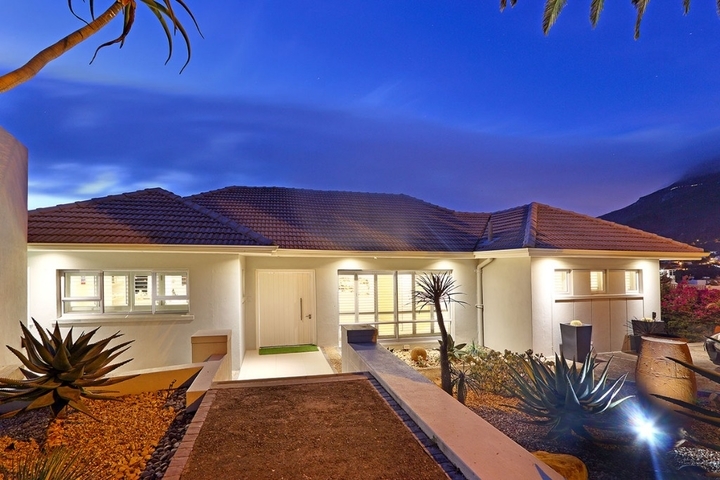 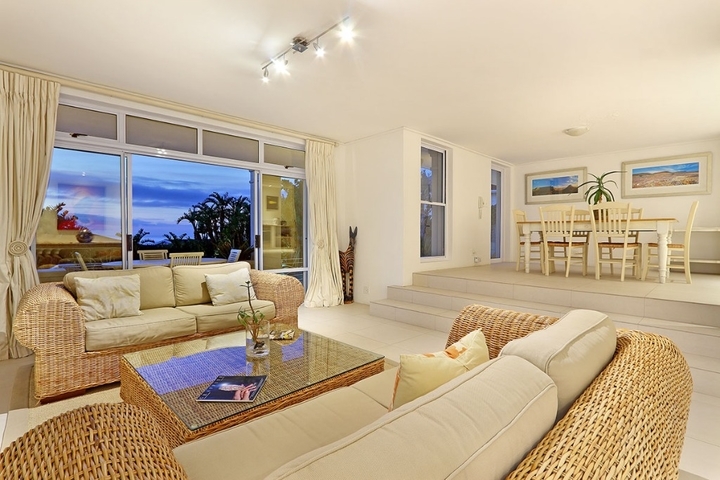 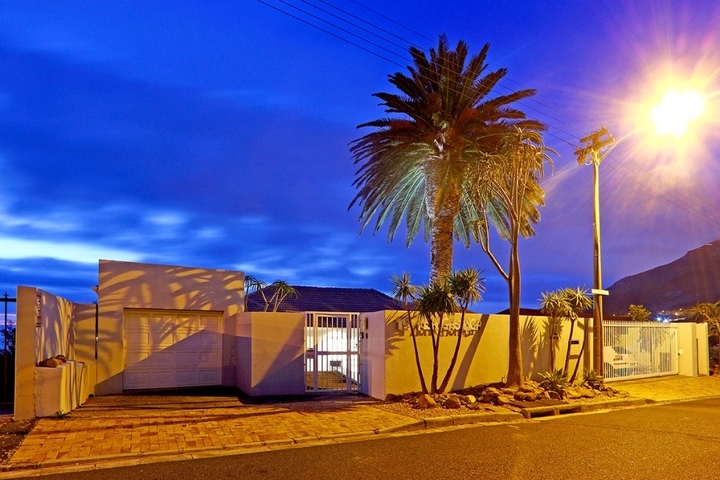 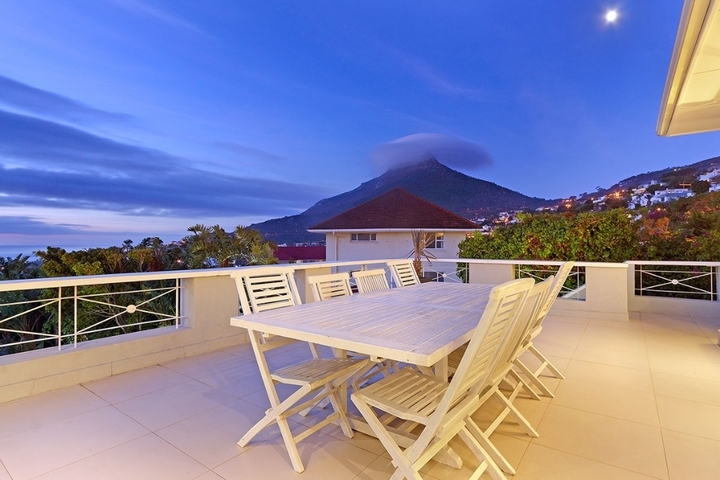 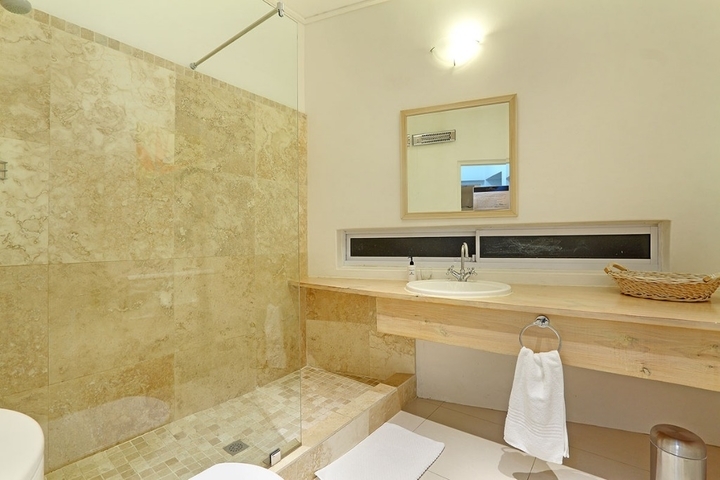 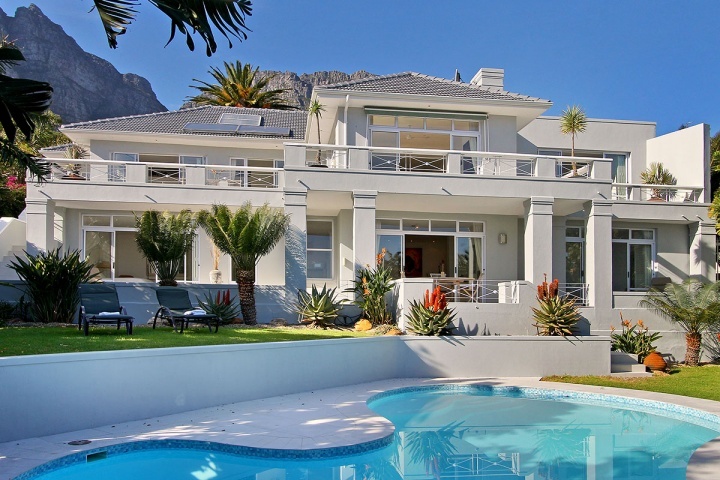 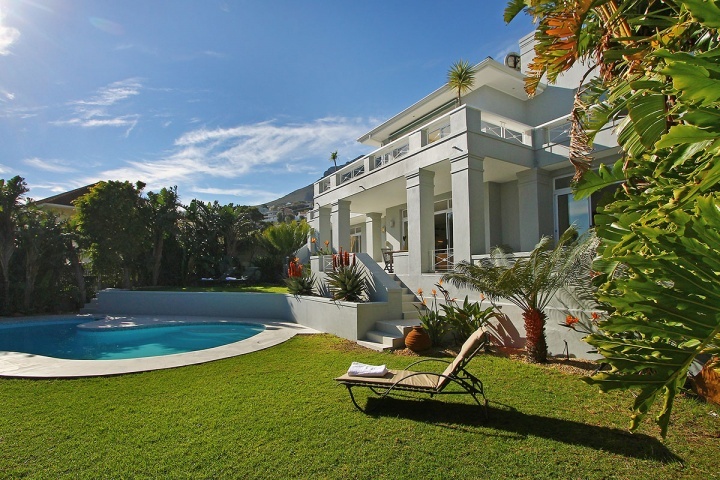 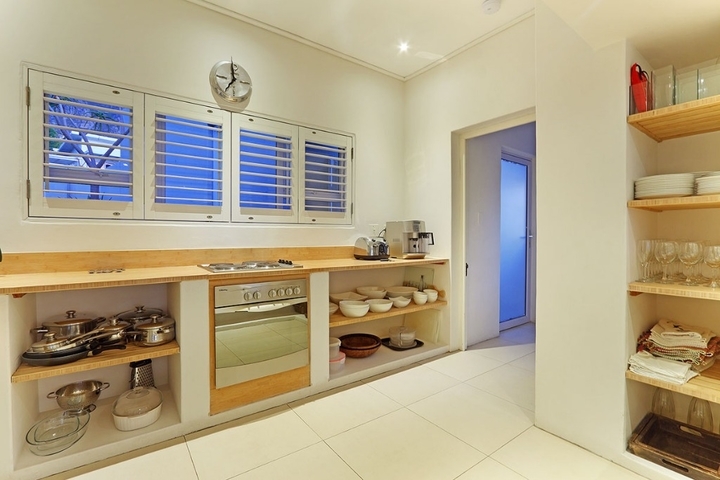 Msangasanga is a 5-bedroom double storey holiday villa in Camps Bay with views of the Atlantic Ocean and Lions Head. 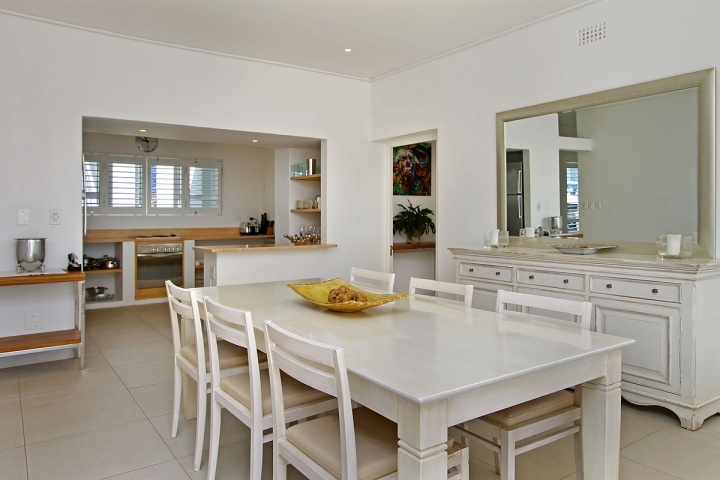 The villa is spread out over 2 levels, each boasting its own kitchen, dining area and living room with access to an outside terrace. 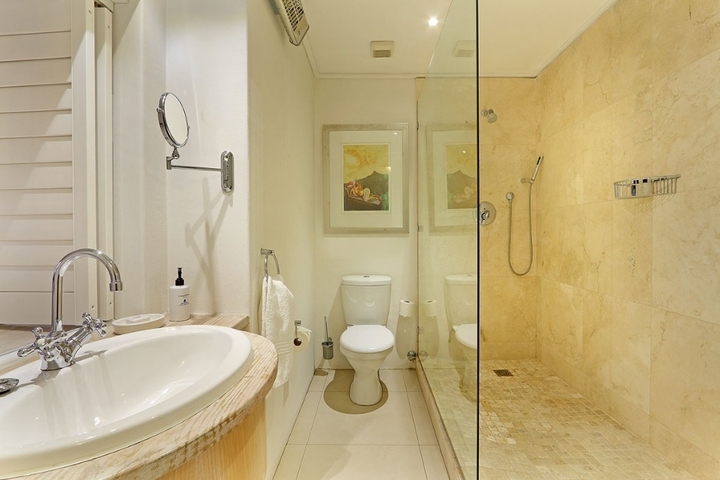 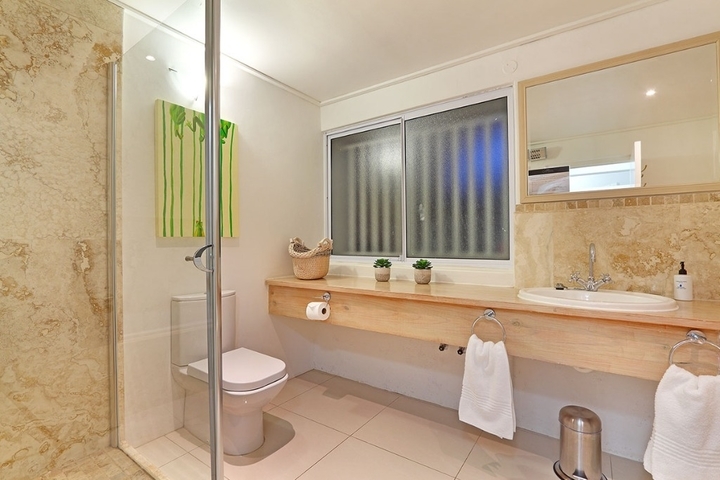 This feature makes it the perfect self-catering accommodation for a group travelling together, or a large family. 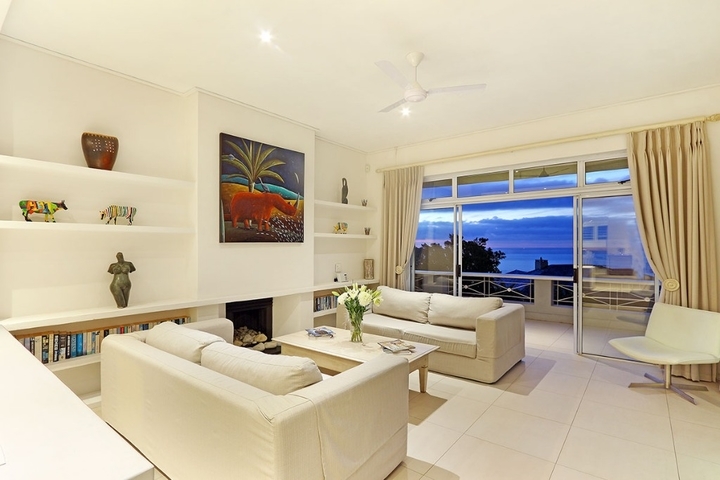 Summer in Camps Bay is all about outdoor living so the ample upstairs and downstairs terraces, large private garden and swimming pool make Msangasanga the ideal choice for a summer stay in Camps Bay. 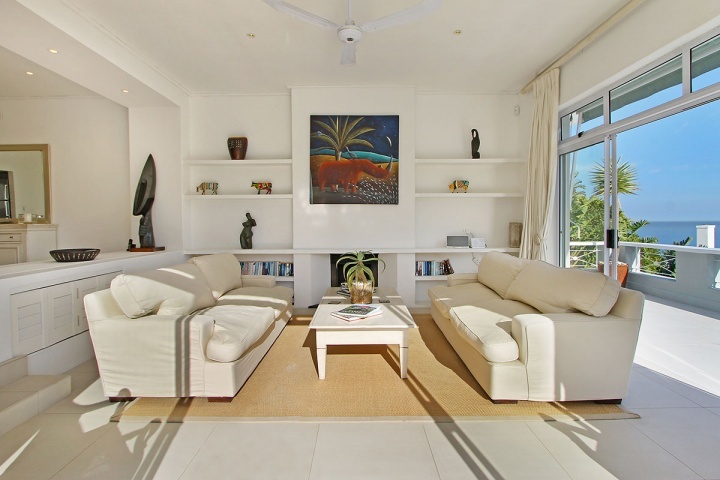 Natural sunlight floods the whole house, giving it a beautifully warm summer feel. 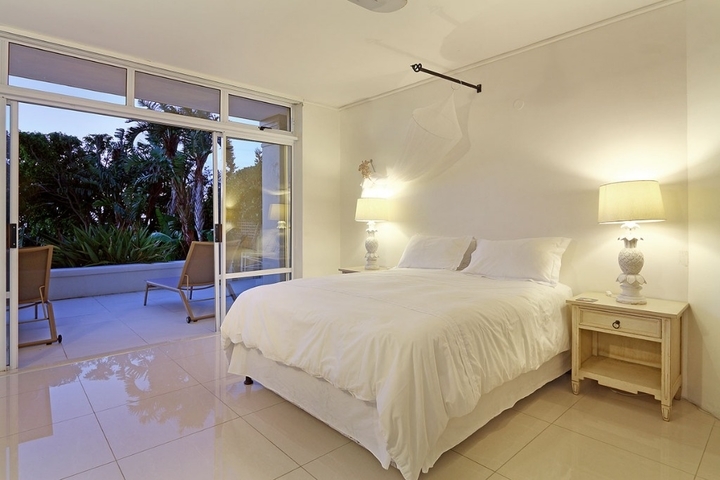 The decor is neutral, fresh and white adding to the ambience of space and tranquillity. 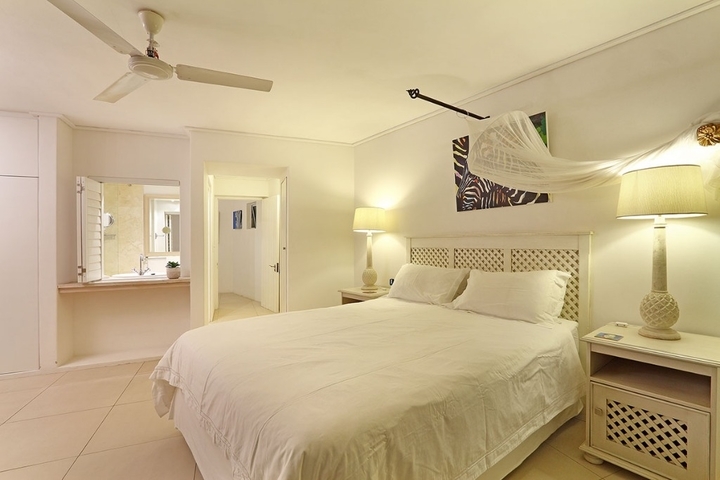 On the first floor, you'll find 3 large comfortable bedrooms (all with fans) and 3 bathrooms (2 of which are en-suite). 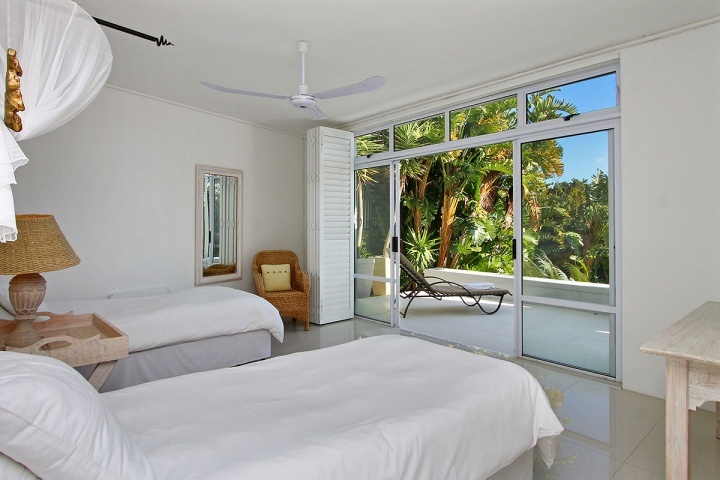 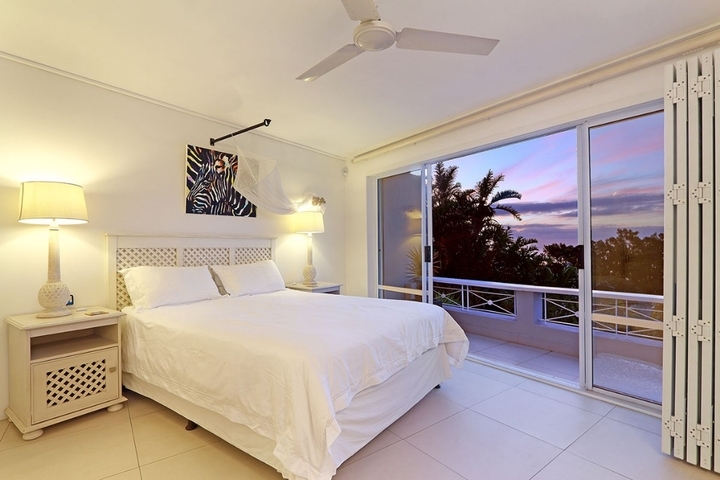 Each bedroom has glass sliding doors opening onto the terrace with views of the Atlantic Ocean. 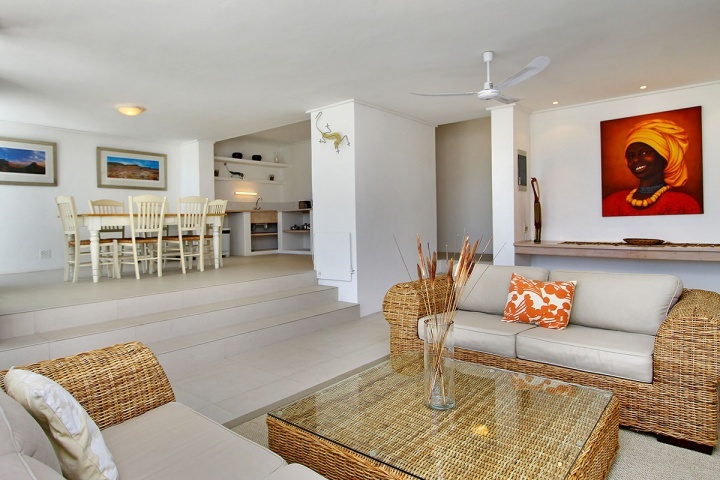 The upstairs living area offers guests a comfortable lounge, dining room and fully equipped, kitchen. 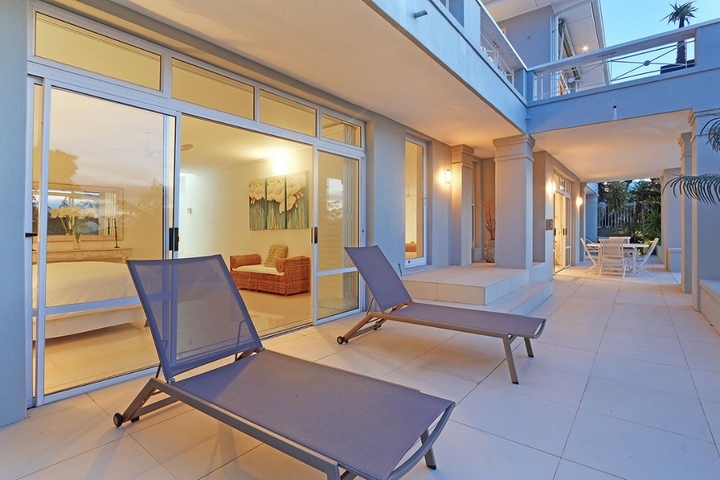 These areas flow onto the large outdoor terrace. 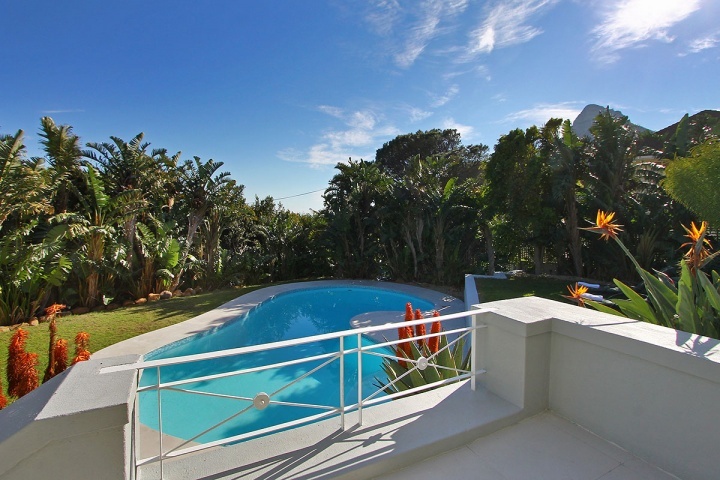 Here guests can enjoy alfresco meals overlooking the garden, an evening dip in the swimming pool and sea views. 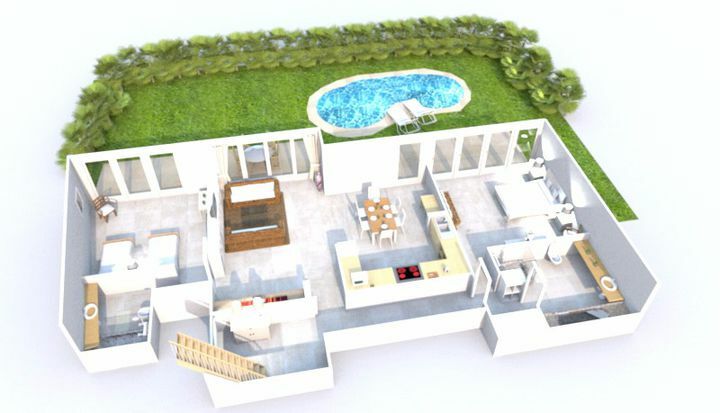 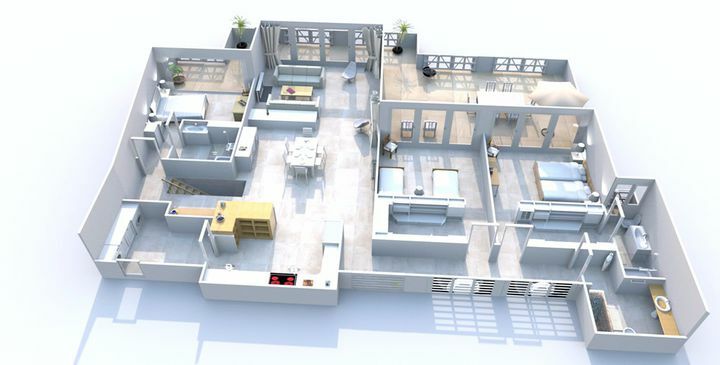 To help you get a better understanding of how MSANGASANGA is spatially laid out, CAPSOL's designers have rendered a few 3D floorplans. 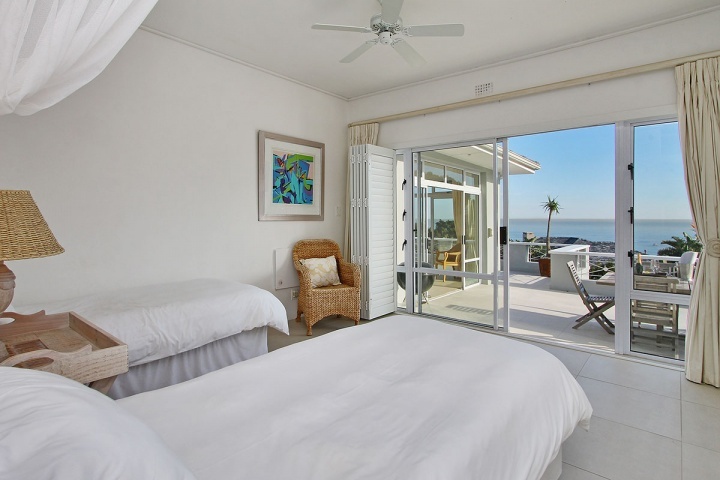 Ready to stay at MSANGASANGA?